Showing results for tags 'Saturn V'. Hello everybody, attention please for all parents and grandads who want to surprise their children and grandchildren. LEGO's countdown for its NASA Apollo Saturn V model set is running ... The most powerful rocket ever flown will go on sale on June 1st, the set is approx. 1:110 and costs 119.99 EUR. Based on a fan submission to LEGO Ideas by Felix Stiessen and Valérie Roche (saabfan and whatsuptoday on the Lego Ideas website) , the 1.969 piece moon rocket stands more than 3 feet tall when assembled and can be separated into its stages. The set also includes microfigures to scale with the Saturn V, a lunar surface and an ocean surface to display liftoff to landing to present. Source: collectspace.com The two LEGO freaks first proposed their Saturn V in 2014. The project received its 10.000th vote in November 2015, qualifying for it for a review by Lego's professional design team. Finally their set was given the "go" to launch as an official product seven months later. After it was approved, the LEGO design team, Michael Psiaki and Carl Thomas Mirriam, took over the project, in order to ensure it lived up to LEGO quality standards. Source: shop.lego.com Source: collectspace.com Although recommended for kids from 14+, I think that my grandson Max with 12 will also create this awesome model, especially since the kit next to the 12 bulging bags also contains a superbly illustrated construction manual (182 pages), Source: brothers-brick.com otherwise the grandpa must help. I came across a helpful site. I haven't seen anyone posting about or linking to it, but maybe it is well known to you guys that have been into space modeling for awhile. The site is called Hero Relics. http://heroicrelics.org/index.html There is a vast amount of info and pictures. The Space Race section seems bottomless. I found some very good drawings. This one will print out to over 75" and is over 60MB. It is a SV (AS-503) top to bottom. It might be a nice complement to Davis Weeks drawings or for some might be just the needed additional help. 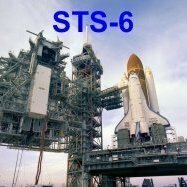 http://heroicrelics.org/info/saturn-v/as-503-inboard-profile.html I have also found many more drawings including a very large S1C drawing and Apollo drawings. And these drawings of the individual stages. http://heroicrelics.org/info/saturn-v/saturn-v-inboard-profiles.html Besides the Space Race section there is the Resources section which contains Space pictures and info and drawings.